With the increasing popularity of fitness and wellbeing, the food industry are jumping on the band wagon. You may have noticed when wandering around the shops that everything has a label slapped on the front saying “high in protein”. After seeing that label most people automatically assume that the food is ‘healthy’ and must be a good source of protein. The food manufacturers are simply adding a cheap whey powder to the food mix and doubling the price. Don’t fall for this marketing gimmick and find out which fake high protein foods are ripping you off. Whilst breakfast should be a prime time to get your protein intake up, you wont find much of it in this box. With a standard serving (2 biscuits) containing a measly 7.6g of protein. Just to put into perspective, a chicken breast contains around 30 grams of protein. That is only 3.1g higher than the Weetabix originals. 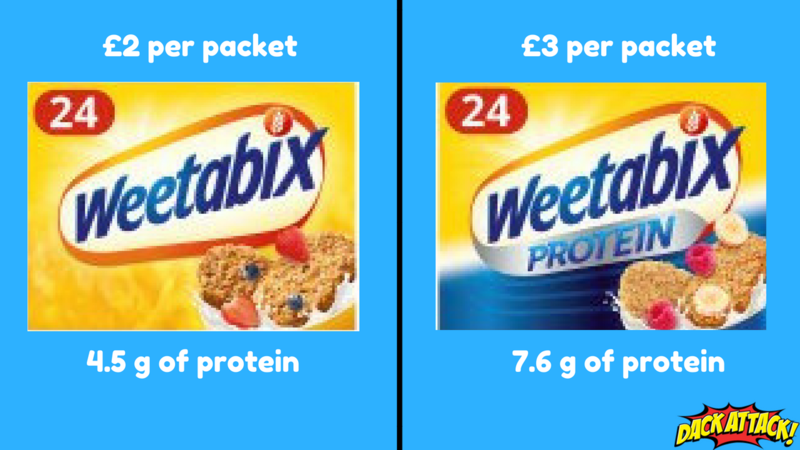 If you were aiming to reach between 20 – 40 grams of protein per meal, you would also be consuming between 380 and 760 kcals just in Weetabix (not including milk). 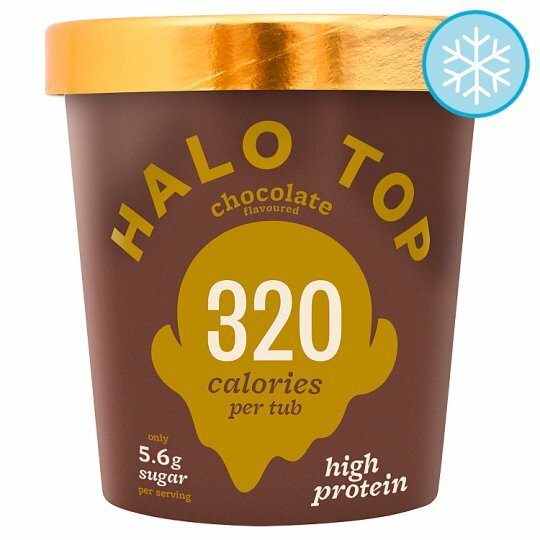 I’m really sorry to break this to you, but halo top ice cream isn’t high in protein. After you have finished sobbing into your ice cream stained napkin, continue reading. With a serving size of a pathetic 118ml (which is strangely precise), you will only be getting 4.5g of protein. I agree that these ‘high protein’ ice creams are lower in carbohydrates and total calories, but they are still not high in protein. I’m sure this isn’t the news you want to hear but I wouldn’t rely on ice cream to boost up your protein intake. I love yogurt as much as the next guy and it is an excellent snack or small meal. With plenty of protein boasting yogurts on the market there is an alternative at half the cost. Arla yogurt claims 20 grams of protein per pot at 62.5 p per 100grams. 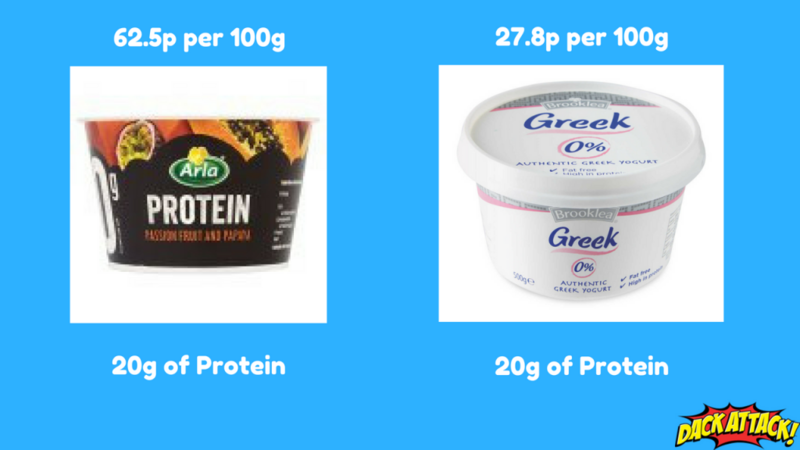 Aldi’s Fat Free Greek Yogurt (no claims of high protein) contains the same amount of protein, less carbs, less calories and over half the cost. I’m all for getting my protein intake high, but not at double the price. Stick to the basics of genuine high protein foods such as meat, eggs and fish.